Spring Has Sprung in Heights Park! We wanted to let you know that we once again have all seats on the HPNA Board filled. We have been without a Vice President for quite a while, but we’re happy to welcome Jeff Davis as our new VP. Jeff visited our last board meeting and agreed to serve, helping us promote our neighborhood programs. Thanks, Jeff! This is an outdoor event, so bring a lawn chair, a pop up tent and stay for a while and enjoy live blues music by Aaron Burton! Come hungry, bring your friends and family and enjoy a Saturday afternoon on the church lawn. We’ll have plenty of activities for children, including a bounce house, playground, and if they want, they can be a part of the crawfish sorting fun! All proceeds from the event benefit Missions and Outreach. Richardson residents in Dallas County will vote for Richardson City Council Places 1-6 and for Mayor (Place 7). All registered voters in the City of Richardson are eligible to vote for candidates in all 7 places. Note: The Richardson Independent School District’s Board of Trustees Election has been cancelled due to unopposed candidates. During early voting, registered voters in the City of Richardson may vote at any early voting location within Dallas County. On Election Day, registered voters in the City of Richardson must vote in their designated precinct polling place. You may find your precinct number on your Voter Registration Card or visit www.dallascounty.org/voters-information/precinct-lookup. Residents & Judges may nominate any yard in the neighborhood including their own yard for Yard of the Month. All entries must be in by the 20th of the month preceding the month of the award. Nominations will then be given to the YOM judges and they will vote by the 25th. The Yard with the most votes will be given YOM award. Nominations can be submitted online on the HPNA website (HeightsPark.com) or by simply submitting the address of the home you nominate to Lynda Leverett (Environmental Chair) or any HPNA board member. Yard of the Month winners may win only one time per 12 months (Jan thru Dec). YOM awards run May through December, with October and December being designated as Decorated YOM (instead YOM). Please see below regarding Decorated YOM. Votes need to be in by Saturday evening the 2nd weekend of October or December. No nominations, only votes. The yard that gets the most votes will have the decorated YOM sign placed in their yard. Decorated means outside decor to enhance the home for fall or Halloween or December holidays. Nominees must live in Heights Park neighborhood. Nominees must be in good standing with the city and not be in violation of any city codes. Creativity – personal touches such as yard art, bird feeders, dry river beds, fountains, pathways, design, etc. The YOM Judges will award/announce the winner early in the month. They’ll also provide the addresses of the honorable mentions. A gift card will be awarded to the first place YOM winner each month. We accept checks or payment via PayPal. Cash is accepted at the General Meetings. (see info below regarding website and mailing address)So please become a member of our association and be a part of the solution. If you know your neighbor isn’t a member, ask them why. Thank you. 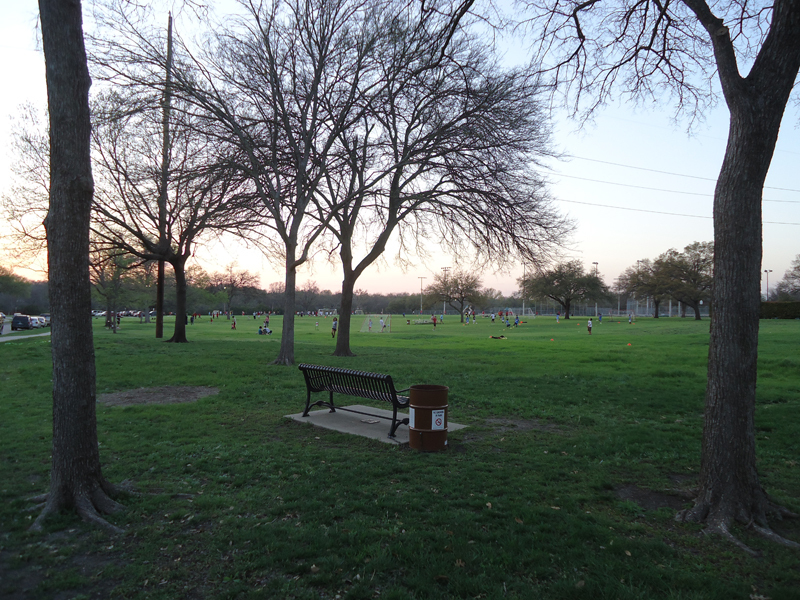 You can learn about all kinds of neighborhood activity on Next Door Heights Park https://heightspark.nextdoor.com as well as our Facebook page and HPNA website. Stay informed about what’s going on around us! There’s a lot happening!And if you know of someone who isn’t on our email list (receiving these periodic updates), or isn’t an HPNA member, tell them to send us a note via contact@heightspark.com or visit our website to sign up. Visit www.heightspark.com/membership and complete a membership form. We also accept payments via PayPal. Just $20/year. Check out the Are You Current? page. The membership list will come up; look for your house address. See what year you show as your Paid Membership. If you’re current on your dues, you’ll see 2015. Groups and individuals register online on the Health Department’s Events webpage on www.cor.net, or by calling Amy Vermillion in the Health Department at 972.744.4076. Trash bags, release forms, and area assignments will be provided to participants at the pre-meeting at City Hall on Thursday, April 16th at 6:00 p.m.
Let us know if you’d like to coordinate a clean-up. HPNA has participated in the past with cleaning the park. You should have received a letter from the City of Richardson good for redeeming two rolls of blue recycle bags. If you don’t already recycle, these bags can be used to combine all recyclable material into one bag and place it out for weekly pickup (for our neighborhood, that’s every Monday). Pick up your bags at City Hall in the Utilities Department, Heights Rec Center, or the Senior Center. The park is under construction at George Bush Turnpike and Central Expressway — just west of Central. You can see the park as you drive north on Central and travel west on George Bush. It’s located under the Bush Turnpike. The dog park will open, weather permitting, in June of this year. Crews have finished the parking lot and part of the fencing. Watch for more information on this city amenity as information comes to us. The next Crime Watch Patrol class date has been set for April 22nd, 2015 from 6pm to 10pm. Our HPNA Citizen Patrollers have been very effective in helping to reduce crime in our neighborhood! Please sign up for the next class and join this lively group! Registration begins next week for the Richardson Police Department’s annual summer safety camps, which will be held from 9 a.m.-noon Mondays through Fridays beginning the week of June 8 and ending the week of Aug. 10. Campers will learn about 911, stranger danger, animal safety and a variety of other topics. The camps are for children who have completed kindergarten but have not yet started fourth grade. Cost is $10 per week. Each session will be held at the Richardson Police and Fire Substation, 2003 E. Renner Rd. Register online atwww.cor.net/parksonline. Learn more by e-mailing summersafetycamp@cor.govor calling 972-744-4949.